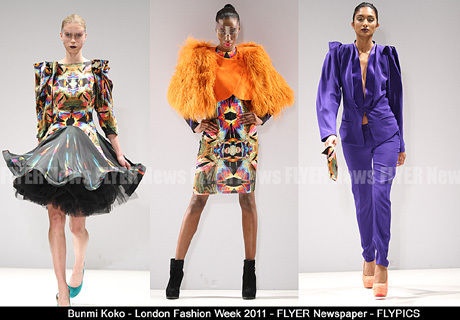 Bunmi Koko’s autmn winter 2011 collection was inspired by light. “I wanted to explore aspects of light through science. 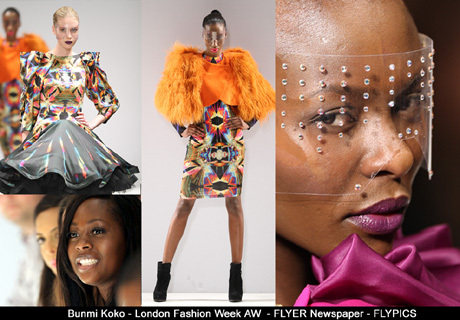 Light is made from a spectrum of colours and I wanted to base my collection using a kaleidoscopic range of colours.” said Fashion designer Bunmi to Flyer News. Throughout the week long event Flyer Newspaper has visited upwards of twenty shows. In our opinion it’s safe to assume that the fashion world is like many other industries experiencing the effects of the global downturn. 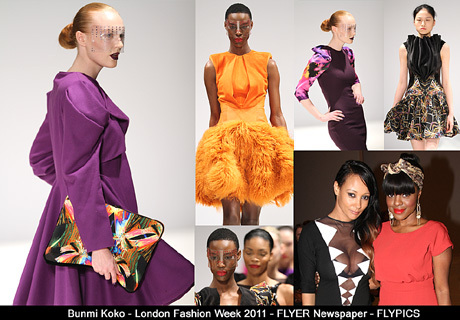 The knock-on effects have resulted in many designers choosing to create commercial collections over cutting edge designs. 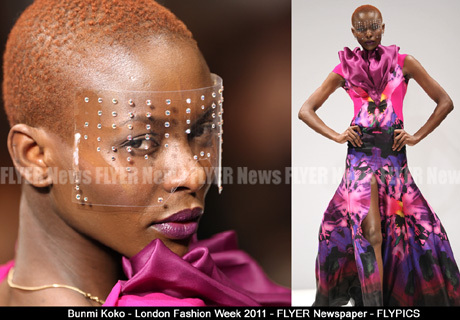 This was not the case with Koko’s London Fashion Week’s Autumn Winter collection. 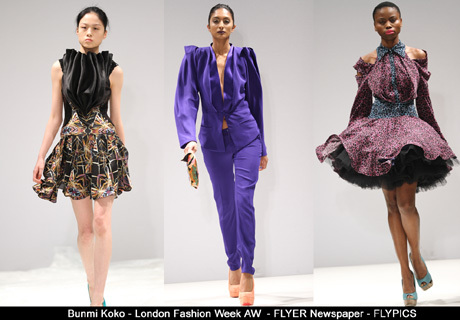 The diversity and richness of this collection by Koko transcends cultural stereotypes and we would pitch this collection in the top five shows we’ve seen all week. Lovely fashion pictures. Wish I was at the show, it looks like it was amazing!